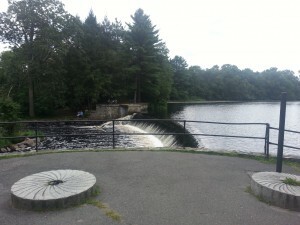 This is the South Natick Dam. 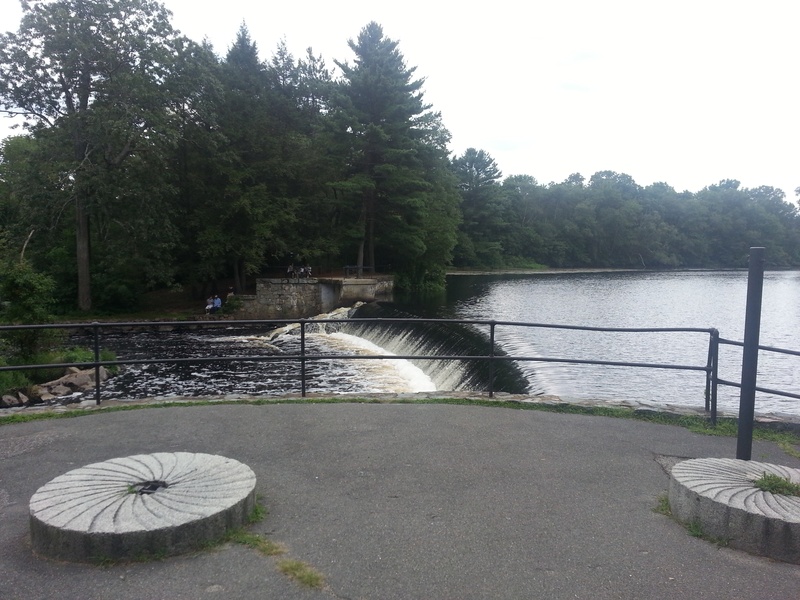 A scenic spot. This was taken, on August 30, 2013. Where has the summer gone? According to the meteorologists, the summer is over. Now we can get on with the crisp morning rides of fall. In this weather we cn still have pleasant rides in later morning and into the afternoon without worrying about blistering heat. I did a ride yesterday, my first since the D2R2, and actually had to use my arm warmers. I have also started my off season weight routine. I wasn’t happy about my weight this summer and I could feel it on my climbs. My goal is to be in shape for the spring century in May of 2014. I am still riding, though presently it is on my mountain bike. I have my semi-road slicks on it and I am able to maintain a decent pace. It’s not as fast as a healthy road bike, but my road bike is not healthy. I was riding my road bike just before the D2R2 and hit a bad pothole. I had no choice. I saw it coming but had a big drop off of about a foot into sand on one side and riding into the side of an SUV on the other side. I braced myself and hit it hard. My jaw even hurt. So earlier this week I finally had the chance to put the bike up on the repair stand and the real wheel was way out of round. The bottom bracket even squeaks. This is beyond my capability maybe. But I don’t have the time to play around with it as I want to do more road biking before winter and also need to paint two sheds and 11 windows before it gets too cold. Anyway hang in there and keep riding. A.J. Previous Previous post: D2R2 2013 – My Ride!